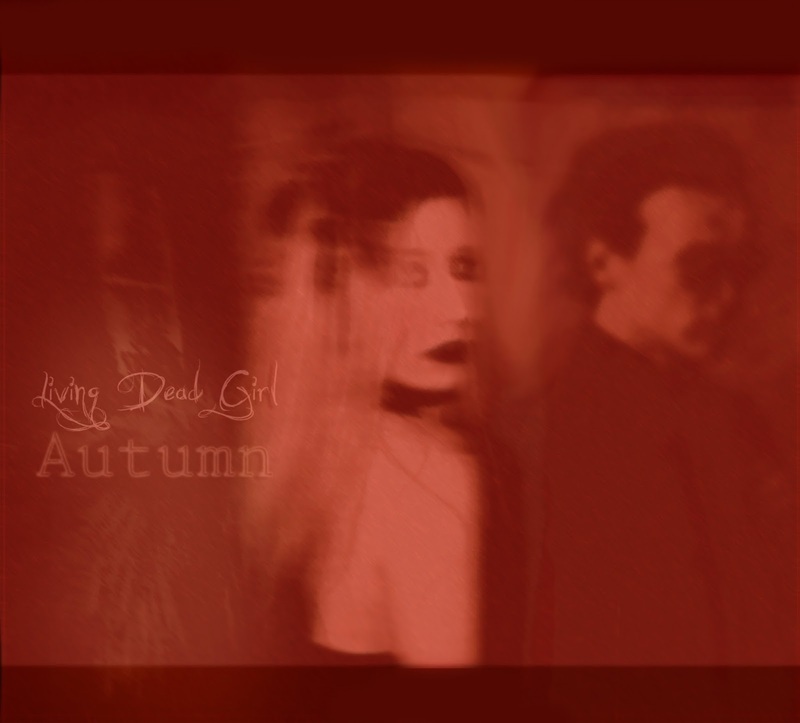 London based dark pop duo Living Dead Girl release their second single/EP in the form of 'Autumn'. Consisting of three new tracks and two remixes the release continues to meld their dark and atmospheric approach to synthpop with elements of trip hop, and even a little bit of witch house. It's quite easy to hear the likes of Grimes, Ladytron and Portishead in their sombre yet ethereal mix of haunting vocals and subtle pop hooks, but Living Dead Girl are offering something a little more. 'Autumn' has an almost neoclassical feel to its construction with occasional outbreaks of modern pop spells, it's steady pace, mixture of droning and string synths and even harpsichord sounds give it a wonderfully baroque textures. 'Simulation' is a more contemporary blend of trip hop and synthpop with Jessica English's sounding soft but ever so slightly unhinged she matches the rhythm of the track. The final original track, 'The False Architect', opens with a classics muffled trip hop beat before bringing a minimal melancholy piano melody which frames English's vocals perfectly which give the track a strangely nostalgic psychedelic atmosphere. The remixes of 'Simulation' courtesy of Neon Valley and Obsidian FX make good use of the source material with Neon Valley upping the club potential with some hard dance beats, while Obsidian FX work some glitchy insanity into the track to take it in entirely the opposite direction. The production is very good throughout. The songs have been crafted with great care and the end result is some fresh and modern sounding electronic pop that blends a lot of elements but sometimes so minimalistic that you almost miss them. 'Autumn' is a very strong release that shows of a very well-rounded writing style and exceedingly skilful performances. Simply dismissing Living Dead Girl as an [insert genre] pop band is a little too easy. There is a great subtlety to how they build tracks up into more complex compositions which draws you in deeper when you listen to it. It would be great to hear what they do when they come to release a full-length album.